Flow Link Systems has always been driven by five core values: Humanity, Honesty, Dedication, Integrity and On-time. 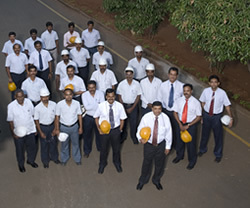 Our core values are the driving forces of the company as they establish the foundation of our work culture. They are available to assist in reacting and adapting to changing conditions. We are proud to be guided by these core values. 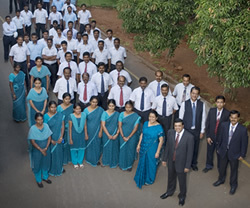 They strengthen our company, encourage our employees to excel, and result in tangible benefits for our customers. 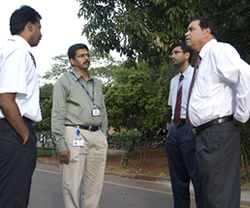 Our Human Resource philosophy stems from our guiding policy with respect to human resource. The guiding policy states "Employee involvement is our way of life. Our people are the source of our strength; we shall foster team work and treat each other with trust and respect. Every employee is responsible for carrying out these policies". Our employment philosophy and practices were based on the recognition that its people are the primary source of its competitiveness. The core principles enshrined in the policy, and now applied across the company are: To inspire, evaluate, motivate, encourage and commend the employee. These principles are underpinned by our core values. Our integrity, team work and dedication to excellence guides us to evaluate ourselves, our operations, our planning, our vision for the future, to achieve our full potential and to push the boundaries of our capabilities to move ahead with courage and confidence to help make people's lives more excitingly better, more fulfilling, happier, richer, easier to manage and more convenient for everyone it touches. Copyright © 2012 Flow Link Systems. | All rights reserved.